A Forest School course (6 sessions) – ‘Acorns Group’ for ages 18 months-5 yrs! Every Friday in Term Time only. 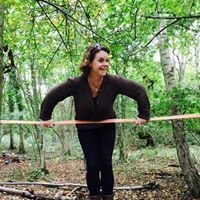 Our unique Forest school session is led by Mel from Lucy’s forest school: Join Mel in the woods on Friday mornings for a wonderful opportunity to connect with your child in a natural environment. Mel will offer Forest School activities and opportunities for free play and exploration. Activities may include seasonal arts and crafts, foraging, camp fire cooking, using simple tools, mud play and potions, shelter building and more. This is for parents and their child to come and spend some time in the wood with a wonderful group of people! The parents are normally highly involved in this to! Friday morning will never be the same again!